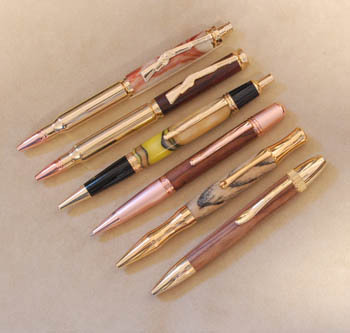 HUT Products is pleased to offer one of the most extensive ranges of materials for making beautiful pens, pencils, and accessories. Just imagine your choice of a blank from our great selection of woods and acrylics; turned to make a special gift, an attractive item for sale, or to be proudly carried as your own. 1. 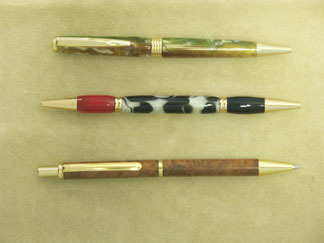 Plating & Finishings: We offer a variety of durable finishes in different colors. Our Upgrade 24k Gold is an extra thick plating with a bright durable finish. Upgrade means the parts are plated using the rack method and that small amounts of cobalt or palladium are added to the plating chemicals. The process enhances the durabilityof the Gold plating. Our Chrome has a very durable bright plating which will last for years. Our Satin Nickel, Satin Gold, Pearl Silver, have a durable mattte finish. Titanium Gold is the most durable finish; the parts virtually never show wear. Black Titanium is titanium oxide moleculary bonded to give an extremely hard and durable finish. 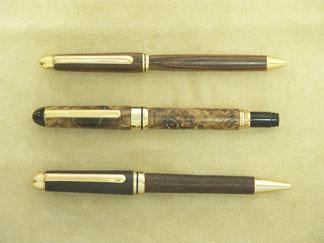 Our Platinum pens use real platinum rather than rhodium and may be expected to hold up under normal use for many years. Our Sterling Silver receives a restaurant grade 20 micron plating to ensure its beauty for many years. 2. Logos: HUT Products offers a variety of domed, foil, and initial logos. 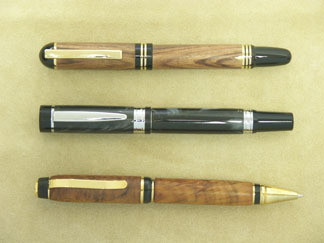 Logos are available for most pens and pencils we offer. Look in the LOGOS section to find the right logo kit for you. 3. 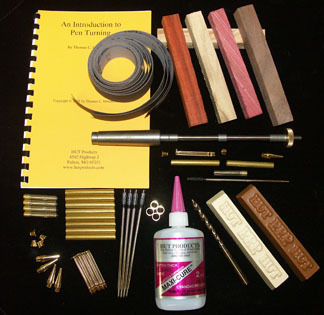 Parts Needed: Each pen and pencil description lists the necessary bushings, drill bit, and mandrel needed to complete the specific pen and pencil. 4. 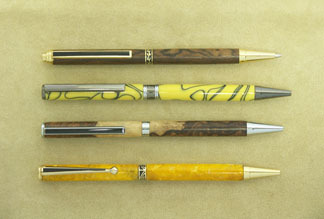 Refills: The refills needed for pens are listed in the description with each pen and can be found in the PEN REFILLS section. 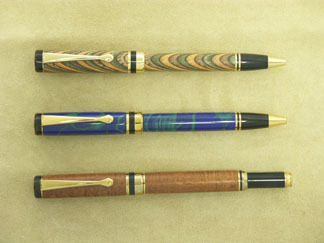 Additional tubes are also available for most pens and pencils. They can be found in the PEN PARTS section.